Brian Unverricht is preparing to be the ringmaster for a three-ring circus, but the performance will not include lions and trapeze artists. 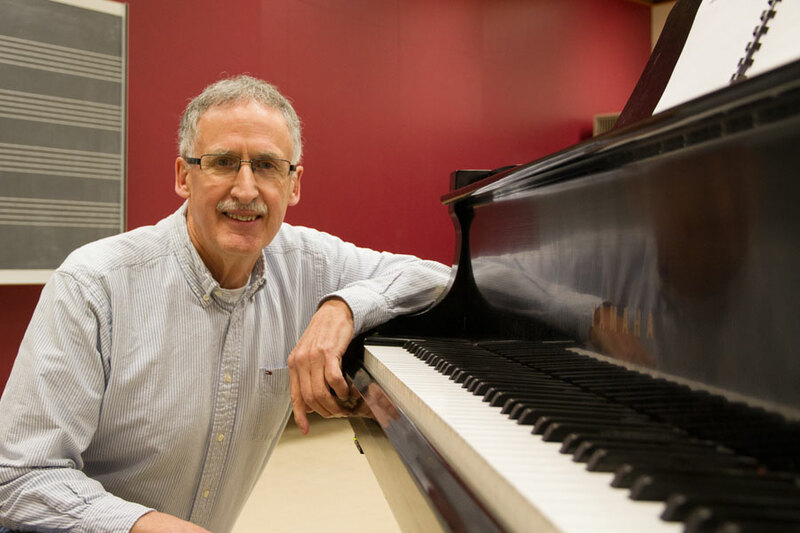 Unverricht, a sessional lecturer in the University of Saskatchewan's Department of Music, will be conducting the Saskatoon Symphony Orchestra as well as pianist Rick Friend of Los Angeles during the showing of the silent movie Safety Last! Feb. 7 at the Roxy Theatre. It is part of the symphony's Silence is Golden series. "It's a much different kind of conducting," said Unverricht, motioning with his hand. "Everything is tied to the action on the screen. Most musicians and conductors like to play with the music and be expressive. This has to be very precise. Tick. Tick. Tick." A retired high school band teacher, Unverricht plays trombone with the symphony orchestra and has conducted the orchestra for several of its Silence is Golden performances over the past few years. The trick to conducting an orchestra during a silent movie is to know the movie inside and out, he explained. In preparing for the Feb. 7 performances, Unverricht has watched the 75-minute movie more than a dozen times. And he's watched certain scenes over and over again. Referring to the movie's score, Unverricht explained, "when I see here, ‘Harold uses the man's bald head as a mirror,' I know exactly what it's talking about and I have 16 seconds. When that shows up on the screen, we start." Friend is not only the guest pianist but also the composer of the musical score that the orchestra will be performing. He and Unverricht have worked together a number of times before. "It's a real give-and-take," said Unverricht, explaining that sometimes he will defer to Friend and his interpretation of the music while Friend will often prefer Unverricht's interpretation. The black-and-white movie from the 1920s is classic slapstick comedy. It is a boy-meets-girl story that follows the boy as he moves to New York City to make good with the promise of returning for his girl. "If anything can go wrong, it will go wrong. And safety is the last concern but they all live happily ever after," said Unverricht, with a hearty laugh. The members of the orchestra performing during Safety Last! will be sitting between the first row of seats at the Roxy and the stage. It is a bit "squishy," said Unverricht, and a seat in the first row is prime for some people who have become regulars of the Silence is Golden series. Show times on Feb. 7 are 1 pm and 7:30 pm. Tickets for the matinee are $32 each and for the evening are $40 each. They can be purchased through the symphony's website or at the Roxy Theatre. Lana Haight is a Saskatoon-based freelance writer.